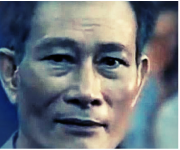 Nguyen Van Hai (Dieu Cay), one of Vietnam’s most well-known political prisoners, was released from prison on October 21, 2014. His release took place on the day that senior U.S. human rights official Tom Malinowski arrived in Vietnam for a five-day visit, and came shortly after the United States eased its embargo against sale of lethal arms to Vietnam. Upon his release, Hai was transported directly from Prison No. 6 in Nghe An Province to Noi Bai Airport in Hanoi, where he was put on an airplane to the United States. Authorities did not make public his release, nor notify his family, who only learned of his release when Hai was able to telephone his son from a transit stop in Hong Kong. Prior to his 2008 arrest, Hai was a prominent political blogger, democracy campaigner, and tough critic of Vietnam's China policy. In 2006 he co-founded the Club of Free Journalists. A former soldier in the People's Army of Vietnam, he blogged under the pen-name "Dieu Cay" ("the Peasant Water Pipe"). In 2007 and 2008 Ho Chi Minh City police detained and interrogated Hai dozens of times for participating in protests against China. His final arrest took place on April 20, 2008, ten days before the Beijing Olympic torch traveled to Ho Chi Minh City, an event which authorities feared would provide a rallying point for activists and students to protest against China. In September 2008, Hai was sentenced to 30 months' imprisonment on trumped-up tax evasion charges. Upon completion of his sentence in October 2010 the government refused to release him. Instead Hai was indicted on national security charges for his internet activism. On September 24, 2012, Hai was sentenced to an additional 12 years in prison under article 88 of Vietnam's penal code, for "conducting propaganda" against the government via the internet. During his six-and-a-half years in prison, Hai steadfastly refused to sign any confessions of guilt. For this he was subjected to solitary confinement and repeated prison transfers. From 2008 until his release, Hai was transferred to eleven different prisons and detention centers, each time with no advance notice to his family. His last transfer in April 2013, to Prison No. 6 in Nghe An, put more than 1,200 miles between him and his family in Saigon. Người Việt, Oct. 27, 2014. "Blogger Điếu Cày tuyên bố tiếp tục đấu tranh cho tự do dân chủ tại VN,"
"Jailed Prominent Vietnamese Blogger Dieu Cay Freed, on Way to US,"
"RWB Hails Vietnamese Journalist's Release,"
﻿© 2018 Campaign to Abolish Torture in Vietnam. All rights reserved. For permission to reprint any of CAT-VN's reports, press releases, or other information please contact us first.